I love guitars, and I also like making things, so in recent years I've combined these two passions in the obvious way - making guitars! 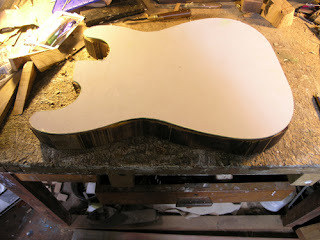 So far I've made three classical guitars and one solid body Les Paul type guitar. 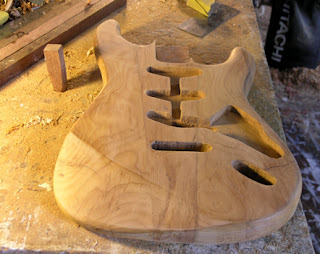 This time I wanted to make a Stratocaster guitar - the strat is the one everybody thinks of when they think of an electric guitar. 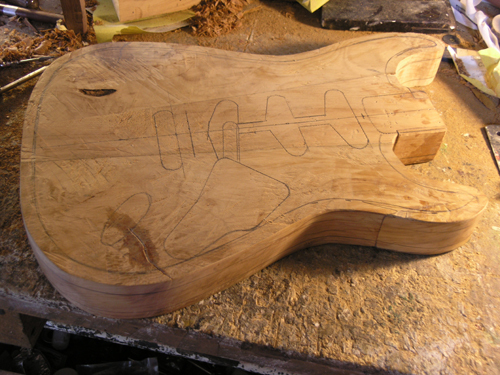 I had a couple of blocks of old recycled kauri timber and I thought it would be nice to have a guitar made of kauri. 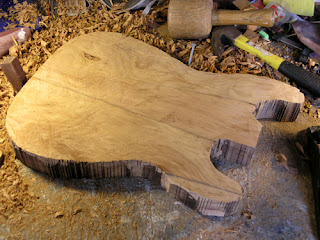 I had to join three pieces to have a big enough piece for a body. I used epoxy resin and clamped the sections together. I then made a template from my plan, and marked out the shape of the body and used a bandsaw to roughly cut the shape out. I then used a router to finish the edges and marked out where all the various pockets for the hardware needed to go before routing them out. I then tryed to round the edges with the router but it felt uncomfortable and wasn't doing a good job so I decided to gp the "old school" way using a spokeshave and rasps and lots of sanding. 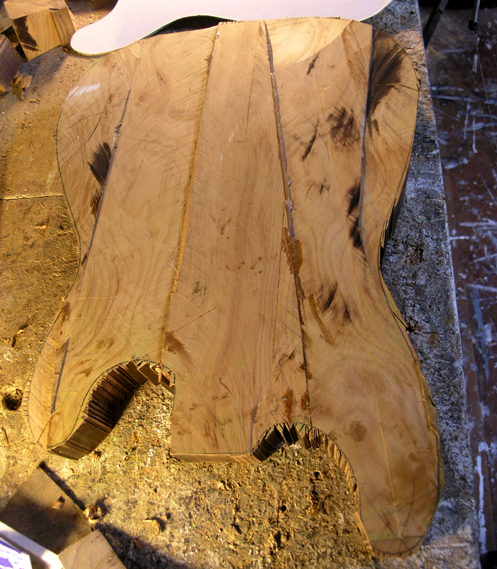 I much prefer using handtools than powertools and I enjoyed carving and shaping the body!